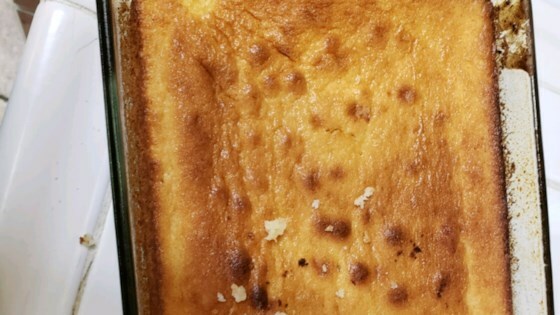 "Traditional Honduran cake made of cheese, eaten during Christmas. From Honduras, Central America." Preheat oven to 350 degrees F (175 degrees C). Lightly grease and flour a medium glass baking dish. In a bowl, beat together margarine and 3 cups sugar until fluffy. Add the eggs one at a time, mixing well. Combine 2 cups all-purpose flour, rice flour, and baking powder; add them alternately with the milk, stirring well between each addition. Slowly stir in Parmesan cheese. Transfer to the prepared baking dish. In a small bowl, mix the 1/2 cup sugar, 1/4 cup all-purpose flour, and sesame seeds. Sprinkle evenly over the batter in the cake pan. Bake 45 minutes in the preheated oven, until a toothpick inserted in the center comes out clean. Cool completely, and cut into squares. Make these kid-pleasing quesadillas in just minutes. This is so good with a cup of coffee, I imagine that it would be nice served as a side to a savory dish as well. I prepared it in a removable bottom tart pan so it was very pretty to look at. My sister in law makes this bread all the time. It is wonderful. I made mine in an 11x16 pan, and it still needed at least 45 minutes. It was very sweet and light, and a great treat for a service team headed to Honduras!